Arguments about the role of technology in education go back at least 2,500 years. To understand better the role and influence of technology on teaching, we need a little history, because as always there are lessons to be learned from history. Paul Saettler’s ‘The Evolution of American Educational Technology‘ (1990) is one of the most extensive historical accounts, but only goes up to 1989. A lot has happened since then. Teemu Leinonen also has a good blog post on the more recent history (for a more detailed account see Leitonen, 2010). See also: The Evolution of Learning Technologies. What I’m giving you here is the postage stamp version of ed tech history, and a personal one at that. One of the earliest means of formal teaching was oral – though human speech – although over time, technology has been increasingly used to facilitate or ‘back-up’ oral communication. In ancient times, stories, folklore, histories and news were transmitted and maintained through oral communication, making accurate memorization a critical skill, and the oral tradition is still the case in many aboriginal cultures. For the ancient Greeks, oratory and speech were the means by which people learned and passed on learning. Homer’s Iliad and the Odyssey were recitative poems, intended for public performance. To be learned, they had to be memorized by listening, not by reading, and transmitted by recitation, not by writing. it [writing] will implant forgetfulness in their souls; they will cease to exercise memory because they will rely on what is written, creating memory not from within themselves, but by means of external symbols. What you have discovered is a recipe not for memory, but for reminding. And it is no true wisdom that you offer your disciples, but only its semblance, for by telling them many things without teaching them anything, you will make them seem to know much, while for the most part they will know nothing. And as men filled not with wisdom but the conceit of wisdom, they will be a burden to their fellow men. I can just hear some of my former colleagues saying the same thing about social media. Although the telephone dates from the late 1870s, the standard telephone system never became a major educational tool, not even in distance education, because of the high cost of analogue telephone calls for multiple users, although audio-conferencing has been used to supplement other media since the 1970s. Video-conferencing using dedicated cable systems and dedicated conferencing rooms have been in use since the 1980s. The development of video compression technology and relatively low cost video servers in the early 2000s led to the introduction of lecture capture systems for recording and streaming classroom lectures in 2008. Webinars now are used largely for delivering lectures over the Internet. None of these technologies though changes the oral basis of communication for teaching. The role of text or writing in education also has a long history. 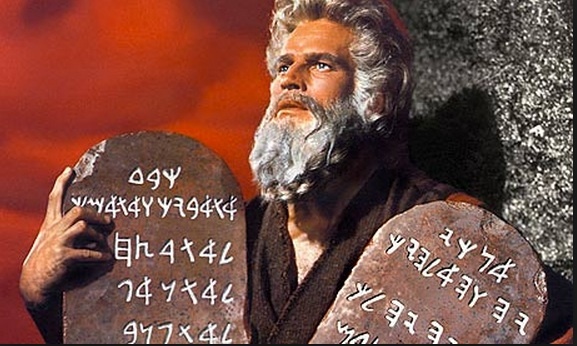 According to the Bible, Moses used chiseled stone to convey the ten commandments in a form of writing, probably around the 7th century BC. Even though Socrates is reported to have railed against the use of writing, written forms of communication make analytic, lengthy chains of reasoning and argument much more accessible, reproducible without distortion, and thus more open to analysis and critique than the transient nature of speech. The invention of the printing press in Europe in the 15th century was a truly disruptive technology, making written knowledge much more freely available, very much in the same way as the Internet has done today. As a result of the explosion of written documents resulting from the mechanization of printing, many more people in government and business were required to become literate and analytical, which led to a rapid expansion of formal education in Europe. There were many reasons for the development of the Renaissance and the Enlightenment, and the triumph of reason and science over superstition and beliefs in Europe, but the technology of printing was a key agent of change. Improvements in transport infrastructure in the 19th century, and in particular the creation of a cheap and reliable postal system in the 1840s, led to the development of the first formal correspondence education, with the University of London offering an external degree program by correspondence from 1858. This first formal distance degree program still exists today in the form of the University of London International Program. In the 1970s, the Open University transformed the use of print for teaching through specially designed, highly illustrated printed course units that integrated learning activities with the print medium, based on advanced instructional design. With the development of web-based learning management systems in the mid-1990s, textual communication, although digitized, became, at least for a brief time, the main communication medium for Internet-based learning, although lecture capture is now changing that. 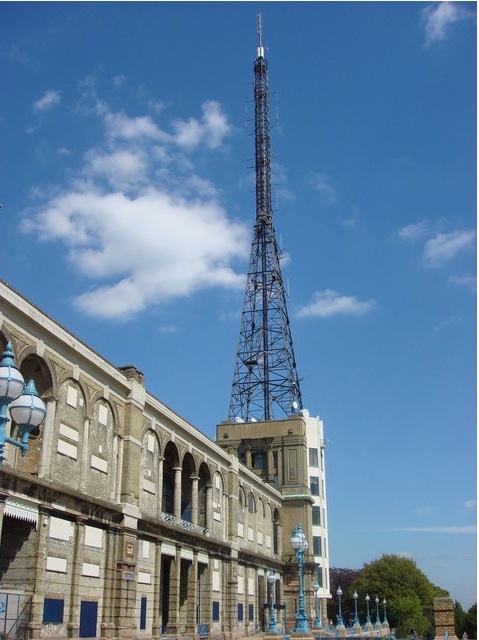 The British Broadcasting Corporation (BBC) began broadcasting educational radio programs for schools in the 1920s. The first adult education radio broadcast from the BBC in 1924 was a talk on Insects in Relation to Man, and in the same year, J.C. Stobart, the new Director of Education at the BBC, mused about ‘a broadcasting university’ in the journal Radio Times (Robinson, 1982). Television was first used in education in the 1960s, for schools and for general adult education (one of the six purposes in the current BBC’s Royal Charter is still ‘promoting education and learning’). In 1969, the British government established the Open University (OU), which worked in partnership with the BBC to develop university programs open to all, using a combination originally of printed materials specially designed by OU staff, and television and radio programs made by the BBC but integrated with the courses. Although the radio programs involved mainly oral communication, the television programs did not use lectures as such, but focused more on the common formats of general television, such as documentaries, demonstration of processes, and cases/case studies (see Bates, 1985). In other words, the BBC focused on the unique ‘affordances’ of television, a topic that will be discussed in much more detail later. Over time, as new technologies such as audio- and video-cassettes were introduced, live broadcasting, especially radio, was cut back for OU programs, although there are still some general educational channels broadcasting around the world (e.g. TVOntario in Canada; PBS, the History Channel, and the Discovery Channel in the USA). The use of television for education quickly spread around the world, being seen in the 1970s by some, particularly in international agencies such as the World Bank and UNESCO, as a panacea for education in developing countries, the hopes for which quickly faded when the realities of lack of electricity, cost, security of publicly available equipment, climate, resistance from local teachers, and local language and cultural issues became apparent (see, for instance, Jamison and Klees, 1973). Satellite broadcasting started to become available in the 1980s, and similar hopes were expressed of delivering ‘university lectures from the world’s leading universities to the world’s starving masses’, but these hopes too quickly faded for similar reasons. However, India, which had launched its own satellite, INSAT, in 1983, used it initially for delivering locally produced educational television programs throughout the country, in several indigenous languages, using Indian-designed receivers and television sets in local community centres as well as schools (Bates, 1985). India is still using satellites for tele-education into the poorest parts of the country at the time of writing (2015). In the 1990s the cost of creating and distributing video dropped dramatically due to digital compression and high-speed Internet access. This reduction in the costs of recording and distributing video also led to the development of lecture capture systems. The technology allows students to view or review lectures at any time and place with an Internet connection. The Massachusetts Institute of Technology (MIT) started making its recorded lectures available to the public, free of charge, via its OpenCourseWare project, in 2002. YouTube started in 2005 and was bought by Google in 2006. YouTube is increasingly being used for short educational clips that can be downloaded and integrated into online courses. The Khan Academy started using YouTube in 2006 for recorded voice-over lectures using a digital blackboard for equations and illustrations. Apple Inc. in 2007 created iTunesU to became a portal or a site where videos and other digital materials on university teaching could be collected and downloaded free of charge by end users. Until lecture capture arrived, learning management systems had integrated basic educational design features, but this required instructors to redesign their classroom-based teaching to fit the LMS environment. Lecture capture on the other hand required no changes to the standard lecture model, and in a sense reverted back to primarily oral communication supported by Powerpoint or even writing on a chalkboard. Thus oral communication remains as strong today in education as ever, but has been incorporated into or accommodated by new technologies. In essence the development of programmed learning aims to computerize teaching, by structuring information, testing learners’ knowledge, and providing immediate feedback to learners, without human intervention other than in the design of the hardware and software and the selection and loading of content and assessment questions. B.F. Skinner started experimenting with teaching machines that made use of programmed learning in 1954, based on the theory of behaviourism (see Chapter 2, Section 3). Skinner’s teaching machines were one of the first forms of computer-based learning. There has been a recent revival of programmed learning approaches as a result of MOOCs, since machine based testing scales much more easily than human-based assessment. PLATO was a generalized computer assisted instruction system originally developed at the University of Illinois, and, by the late 1970s, comprised several thousand terminals worldwide on nearly a dozen different networked mainframe computers. PLATO was a highly successful system, lasting almost 40 years, and incorporated key on-line concepts: forums, message boards, online testing, e-mail, chat rooms, instant messaging, remote screen sharing, and multi-player games. Attempts to replicate the teaching process through artificial intelligence (AI) began in the mid-1980s, with a focus initially on teaching arithmetic. Despite large investments of research in AI for teaching over the last 30 years, the results generally have been disappointing. It has proved difficult for machines to cope with the extraordinary variety of ways in which students learn (or fail to learn.) Recent developments in cognitive science and neuroscience are being watched closely but at the time of writing the gap is still great between the basic science, and analysing or predicting specific learning behaviours from the science. More recently we have seen the development of adaptive learning, which analyses learners’ responses then re-directs them to the most appropriate content area, based on their performance. Learning analytics, which also collects data about learner activities and relates them to other data, such as student performance, is a related development. These developments will be discussed in further detail in Section 6.7. Arpanet in the U.S.A was the first network to use the Internet protocol in 1982. In the late 1970s, Murray Turoff and Roxanne Hiltz at the New Jersey Institute of Technology were experimenting with blended learning, using NJIT’s internal computer network. They combined classroom teaching with online discussion forums, and termed this ‘computer-mediated communication’ or CMC (Hiltz and Turoff, 1978). At the University of Guelph in Canada, an off-the-shelf software system called CoSy was developed in the 1980s that allowed for online threaded group discussion forums, a predecessor to today’s forums contained in learning management systems. In 1988, the Open University in the United Kingdom offered a course, DT200, that as well as the OU’s traditional media of printed texts, television programs and audio-cassettes, also included an online discussion component using CoSy. Since this course had 1,200 registered students, it was one of the earliest ‘mass’ open online courses. We see then the emerging division between the use of computers for automated or programmed learning, and the use of computer networks to enable students and instructors to communicate with each other. The Word Wide Web was formally launched in 1991. The World Wide Web is basically an application running on the Internet that enables ‘end-users’ to create and link documents, videos or other digital media, without the need for the end-user to transcribe everything into some form of computer code. The first web browser, Mosaic, was made available in 1993. Before the Web, it required lengthy and time-consuming methods to load text, and to find material on the Internet. Several Internet search engines have been developed since 1993, with Google, created in 1999, emerging as one of the primary search engines. In 1995, the Web enabled the development of the first learning management systems (LMSs), such as WebCT (which later became Blackboard). LMSs provide an online teaching environment, where content can be loaded and organized, as well as providing ‘spaces’ for learning objectives, student activities, assignment questions, and discussion forums. The first fully online courses (for credit) started to appear in 1995, some using LMSs, others just loading text as PDFs or slides. The materials were mainly text and graphics. LMSs became the main means by which online learning was offered until lecture capture systems arrived around 2008. By 2008, George Siemens, Stephen Downes and Dave Cormier in Canada were using web technology to create the first ‘connectivist’ Massive Open Online Course (MOOC), a community of practice that linked webinar presentations and/or blog posts by experts to participants’ blogs and tweets, with just over 2,000 enrollments. The courses were open to anyone and had no formal assessment. In 2012, two Stanford University professors launched a lecture-capture based MOOC on artificial intelligence, attracting more than 100,000 students, and since then MOOCs have expanded rapidly around the world. a group of Internet-based applications that …allow the creation and exchange of user-generated content, based on interactions among people in which they create, share or exchange information and ideas in virtual communities and networks. Social media are strongly associated with young people and ‘millenials’ – in other words, many of the students in post-secondary education. At the time of writing social media are only just being integrated into formal education, and to date their main educational value has been in non-formal education, such as fostering online communities of practice, or around the edges of classroom teaching, such as ‘tweets’ during lectures or rating of instructors. It will be argued though in Chapters 8, 9 and 10 that they have much greater potential for learning. It can be seen that education has adopted and adapted technology over a long period of time. There are some useful lessons to be learned from past developments in the use of technology for education, in particular that many claims made for a newly emerging technology are likely to be neither true nor new. Also new technology rarely completely replaces an older technology. Usually the old technology remains, operating within a more specialised ‘niche’, such as radio, or integrated as part of a richer technology environment, such as video in the Internet. However, what distinguishes the digital age from all previous ages is the rapid pace of technology development and our immersion in technology-based activities in our daily lives. Thus it is fair to describe the impact of the Internet on education as a paradigm shift, at least in terms of educational technology. We are still in the process of absorbing and applying the implications. The next section attempts to pin down more closely the educational significance of different media and technologies. Activity 6.2 What does history tell us? 1. What constitutes an educational technology? How would you classify a recorded lecture from MIT that is accessed as an open educational resource? When is a technology educational and not just a technology? 2. An early version of the Internet (Arpanet) existed long before 1990, but the combination of Internet protocols and the development of html and the World Wide Web were clearly a turning point in both telecommunications and education (at least for me). What then makes the Internet/the Web a paradigm shift? Or are they just an evolution, an orderly next step in the development of technology? 3. Is writing a technology? Is a lecture a technology? Does it matter to decide this? 4. The more sharp eyed or analytical of you may be asking questions about the categorization or definition of some of the technologies listed above (quite apart from the issue of how to deal with people as a means of communication). For instance computer-mediated communication (CMC) existed before the Internet (from 1978 in fact), but isn’t it an Internet technology? (It is now, but wasn’t then.) How do social media differ from CMC? Does it make sense to distinguish television technologies such as broadcast, cable, satellite, DVDs or video-conferencing, and is this relevant any more? If so, what distinguishes them and what do they have in common from an educational perspective? These are some of the issues that will become clearer in the following sections. 6.2 A short history of educational technology by Anthony William (Tony) Bates is licensed under a Creative Commons Attribution-NonCommercial 4.0 International License, except where otherwise noted.